How much do you bench? Do you feel like you have become stuck in a bench pressing plateau? Nothing can be as frustrating as not being able to increase your bench press workout for a number of months. I have been there, and I can assure you of one thing; there is nothing cool about being stuck in a bench press plateau. I would love to share with you a few tips that tripled my bench press workout in less than a month. One of the areas mostly neglected is in training the triceps to withstand the heavier weights. Before you complain about being stuck on a bench press, try exercise your triceps with close grip bench presses and skullcrushers. Dump the cable machines and take up barbells and heavy dumbbells. They will build the resilience on your triceps and allow you to advance your bench press. Once you have the best bench pressing technique, then you will need to master on how to hold the grip. The correct way of holding the bar is to hold it slightly wider than you shoulder. The problem with holding the grip widely is that it causes an imbalance of the weight, and if you hold it less wide then you will trigger the triceps muscles and not the chest. You should also make sure that the push ups are done in a straight line pushing the bar up and down in a single movement at a time. The bench press workout routine you follow ought to develop your muscles effectively and efficiently. There are many ways to develop and build different types of body muscles. For instance, maxing out is one of the best ways to build your chest. It is always recommended that you do this after you have completed your normal exercises. While maxing out, it is prudent not to do it alone but rather have a spotter to assist you in the navigation. The best way to build your muscles is by lifting weights. The human body works in such a manner that it has to have a triggering factor so that it can respond. It is ironical for one to expect the muscles to grow but not initiating the process. By lifting heavier weights than what you are used to, then you are triggering the development of muscles to accommodate the new weights. In all this weight lifting exercises, you have to check and ensure that both hands can lift equal weights. This will enhance equal muscle development. Diet and lifestyle is an important part of increasing your bench presses. Your bench press workout plan should not only focus on the body’s physical fitness but also on a diet that one has to take. Proteins play an important role in the growth and development of muscles. Taking foods rich in protein will increase the rate at which your body is building new muscle tissue. Although it is advisable you take protein foods, you can also try taking protein supplements if you are not getting enough protein foods. Whey proteins are a good consideration. Get enough rest as well because the muscles get repaired and grow while one is resting. If you find yourself busy, then you should have some rest in between the workouts so that they can total up to at least 8 hours of rest every day. When you feel like you have hit a plateau, take a break from the gym for a few days. Give the weight bench a rest, and you will be surprised at how easily you will manage to increase your bench press workouts once you resume pressing. If you believe that you can do it, then there is little doubt that you can do it. Our minds play a very pivotal role in building and shaping our capabilities. Whether you are doing a simple incline bench press or a decline bench press, believing that you can take your muscles to the maximum plays a very crucial role in getting you past the plateau. I always make insistence on the use of proper weight lifting equipment. 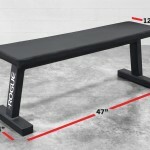 Check out my online store for some of the best weight bench sets and related weight training equipment. The proper bench pressing equipment should give you comfort and safety, and this reassurance of comfort and safety should play a very major role in advancing your bench press workout. What I have provided here as a way to increase your bench press is simply an overview of all the things you need to do in order to break from your bench press plateau. Read an in-depth tutorial here, and happy bench pressing.